Single Tiger Emerges from Cave from Wong Kiew Kit on Vimeo. Let us start with two big secrets. Knowing them may help you to overcome two big problems facing kungfu today. 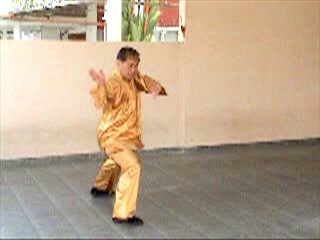 The first big problem is that many kungfu practitioners today are not practicing a martial art. They are only practicing demonstrative kungfu forms — what past masters referred to as “flowery fists and embroidery kicks”. They may have practiced these forms for a long time, and may be able to perform them beautifully, but they are just incompetent in self-defence. 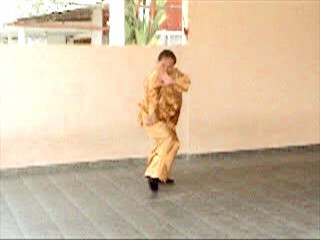 The second big problem is that those kungfu practitioners who are competent in combat do not use kungfu forms. 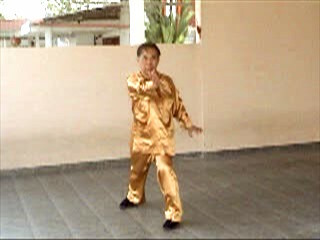 They use forms of other martial arts, like Taekwondo and Kick-Boxing. 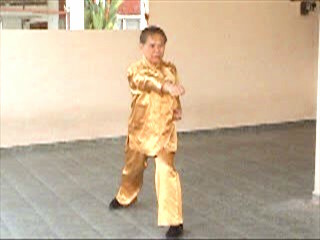 Some have even gone to the point of believing and publicly saying that kungfu forms cannot be used for combat! The first secret is that kungfu practitioners in the past did not practice their kungfu sets for demonstrations to please spectators. They practiced kungfu sets to train themselves for combat. The second secret is that free sparring was never meant to train combat, as many modern martial artists mistakenly think it is. Free sparring was meant to test or confirm whether practitioners were competent in combat. Hence, it came at the end, not at the beginning, of a systematic combat training programme. These two secrets come together in a kungfu set. It sums up the patterns and the sequences practitioners learned in their combat training. In other words, the patterns in a set were not thought out at random; they were the result from combat and were arranged in a meaningful way for easy remembering. In this respect, a kungfu set is a concluding stage of learning. 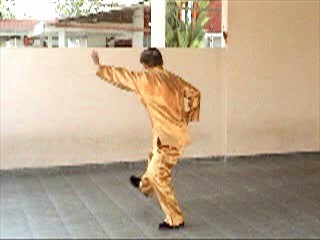 Then, in another respect, a kungfu set is a starting stage for practicing. 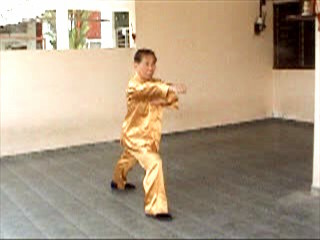 By practicing a kungfu set, practitioners improve the skills and techniques for combat. In other words, if you have undergone systematic combat application, even when circumstances do not enable you to continue your training with a sparring partner, but by practicing kungfu sets in solo you can prepare yourself well for actual combat. In our school, the basic material for combat training is the 16 basic combat sequeces in Shaolin Kungfu, and the 12 basic combat sequences in Wahnam Taijiquan. These combat sequences are merged to form our various kungfu sets. 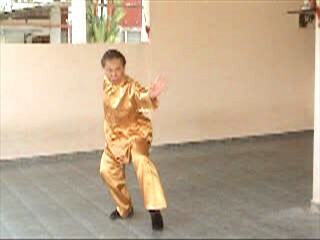 Participants at the regional Shaolin Kungfu classes in Andorra, Switzerland and Finland in August and September 2006 did not have sufficient time to learn all the 16 basic combat sequences. Hence, these 16 sequences were condensed into 8. However, the set was taught with some slight variations at the different courses in Andorra, Switzerland and Finland. To facilitate learning, the set is now standardized and is presented here in video. A picture series of the set can be found here . Please refer to this set as the standard for “Single Tiger Emerges from Cave”. The first video clip below shows the whole set performed continuously. To facilitate easy downloading, this set is also divided into four parts shown in the following four video clips. Subsequent video clips show the 8 combat sequences separately in their initiator's mode and their responder's mode. They are performed pattern by pattern for easy learning. You can view all the videos here by clicking on the picture or the caption below. All the 8 combat sequences can be view in the video by clicking the picture or the caption below. Combat Sequences of Single Tiger Emerges from Cave from Wong Kiew Kit on Vimeo.